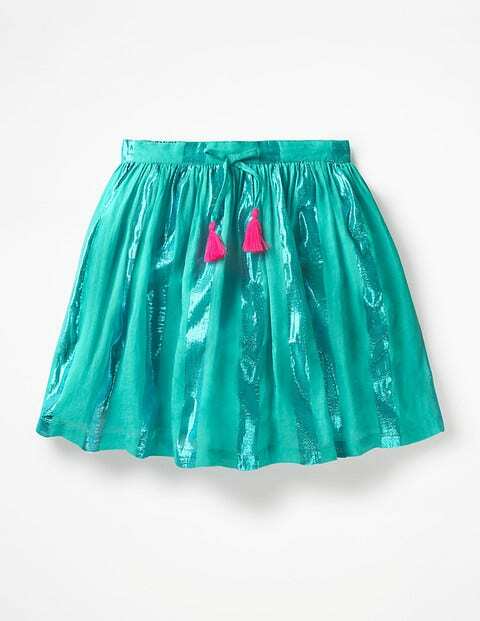 This twirly lightweight cotton-voile skirt simply cannot wait to meet some dancing shoes and hit the floor. Its full shape was made for spinning around, while shimmering stripes add sparkle (who needs a disco ball anyway?). The waistband is finished with a colour-popping tassel tie, and has an elasticated panel for even the most energetic moves.